Former Assistant Commissioner of Police (Operations) of the Hong Kong Police. Mr. Cheng joined the Hong Kong Police in 1987 and was promoted to the rank of Assistant Commissioner of Police (Operations) in 2016. Between 2006 and 2007, Mr. Cheng was seconded to the HKSAR Government Secretariat to act as a law enforcement advisor to the Commissioner for Narcotics on anti-money laundering and a core member of the HKSAR delegation to the Financial Action Task Force and Egmont Group’s Plenary and Working Group Meetings. Mr. Cheng headed the Joint Financial Intelligence Unit of Hong Kong between 2007 and 2010. Mr. Cheng moved across to Operations in 2010 upon his promotion to the rank of Senior Superintendent and has since been regularly involved in planning and executing security operations for major events as well as managing major protests. He is currently the policy holder of the Hong Kong Police on Illegal Immigration, Counter Terrorism, Search and Rescue, Public Order and Safety, as well as Aviation, Boundary and Internal Security. Mr. Cheng was a visiting fellow of the Brookings Institution in Washington, D.C. in 2011, during which he undertook research into problems and global solutions for transnational organised crime. 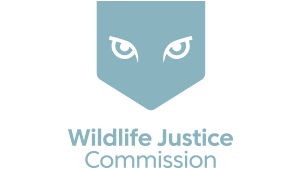 Mr. Cheng was a member of the Global Agenda Council on Organised Crime of the World Economic Forum between 2011 and 2014 and became a member of the Advisory Council of the Wildlife Justice Commission in 2015.